ASK vayu if interested nhi to tum hi kyun nhi ? Chill bhai Chill have to keep it civil control :two_thumbs_up:. Okay then he can be our mascot then hope he reports to this thread. Where is Ankur is he ready to be the mascot while I can update the things happening in the Delhi team and if required create the match thread for one or two games. Manoj Tiwary - "I have started off and learned all my cricketing tricks at the Eden Gardens and it is disappointing to say the least that I will not be representing the home side here. But nonetheless I am looking forward to play for the Delhi Daredevils,"
Manoj is disappointed that KKR picked no Bengalis for the upcoming IPL. Decent team. Now the difficult question, who will captain them? In each successful IPL team, the captain plays a huge role. Not only he should contribute well but influence others to raise their game and have good instincts. I think Neesham should be in the playing 11 not JP as Neesham can be a handy bowler. Neesham seems a really handy all rounder. A really good bowler and batted well yesterday on a difficult pitch. He is a must in this team. Ross Taylor might have an outside chance, but the way KP has been picked so expensive, I am sure DD has it in mind to make him our MAN of the DD. He is going to be the captain 90% sure. Ross Taylor might have an outside chance' date=' but the way KP has been picked so expensive, I am sure DD has it in mind to make him our MAN of the DD. He is going to be the captain 90% sure. [/quote'] Taylor was not in the center of team's plans, otherwise they must have bid for him first time around. They bid for him in the last round because they need an experienced batsman to hold their middle order together. While KP was the man of the team from the word go. They went after him and got him using RTM at a high price. So, according to me too, he is going to be our captain. He also has openly expressed his desire to captain this team. Besides, Taylor is not a sure shot pick in the playing 11. It's going to be a toss up between Taylor/De Kock/Neesham and Duminy for 2 positions. I will replace Wayne/NCN with either of Taylor or De ****. I will try my best bro. Duminy is not in any sort of form right now. De Kock is a better option than him and he is a left hander too. Duminy will be better on slow pitches. On such pitches, His off breaks will come in handy too. If the tournament ends up in S.A I see our home base being Cape Town as Garry is from there.The middle order of every team will be tested talking about Indian batsman. In that case, we should include as many South Africans as possible in our line up. Parnell and one of De Kock/JPD is a must because of their home experience. We will be at advantage because of the presence of Kirsten too. good pick....aisa lag ra h holi khel rae hon!!! Dinesh Karthik is eager to play under Kirsten again http://timesofindia.indiatimes.com/sports/cricket/ipl/news/Dinesh-Karthik-is-eager-to-play-under-Kirsten-again/articleshow/30467219.cms Wicketkeeper-batsman Dinesh Karthik, who was the second-costliest buy at Rs 12.5 crore in the IPL auction at Bangalore earlier this week, is keen to play under Delhi Daredevils coach Gary Kirsten in season 7 of the T20 tournament starting April 9. "Everybody knows him as a wonderful human being and his track record has been phenomenal. It is going to be wonderful to be working with a person like him and you require a calm head in T20 and he will definitely bring that to the table," Karthik told reporters here about ex-India coach Kirsten. Only Yuvraj Singh, who was bought for Rs 14 crore by Royal Challengers, fetched higher price than Karthik at the two-day auction held on February 12 and 13. Karthik, who had played for Delhi Daredevils for a couple of seasons before he shifted to Mumbai Indians till last season, said the DD squad is a balanced one without many big names in it. "I think it is a very balanced squad. It is one of those squads where you don't have huge names, but I think we have the potential to win games of cricket. But T20 is such a format. It is not about how strong a team is, but at that given day who plays the best," said the Tamil Nadu wicket keeper-batsman who will lead India Cements in the BCCI Corporate Trophy tournament starting tomorrow. Asked whether former England star Kevin Pietersen, who has expressed his desire to lead the Daredevils, should be made the captain or should he be named as the leader, Karthik said the decision lies with the team management. "It is not about whether I am good enough or Kevin Pietersen is good enough. It is about what Gary Kirsten and the entire coaching unit thinks. What they feel is the best suited for the team. "I think we should leave the option to them and whatever they decide, it will be a good decision because they all have previous experiences as support staff." The 28-year old, who has even opened the batting on occasions in Tests, was not retained by holders Mumbai Indians, and said the decision was understandable as only five could be retained as per the IPL rules. "If you are a championship winning team, you always have about 7-8 players who have the chances of being retained. The rules are such that you can retain only five. They took their option and it is totally upto them and I am totally with them on that," said Karthik. "Given an opportunity the playing 11 which had played the final would have been retained. Why would they let go a player like Mitchell Johnson (of Australia). That is part of the IPL, that is part of the player's auction. I wish them good luck," he said. "I am really grateful to Mumbai Indians for giving me an opportunity like that to showcase my potential as a cricketer and it was a wonderful couple of years with Mumbai Indians. I will definitely miss them. There is a new opportunity for me and I will definitely look to do my best," Karthik added. The Tamil Nadu stumper admitted he was surprised by the price that he fetched at the auction. "It came as a surprise to me. I am not going to be lying here. I was very surprised. I am very happy with the team. At the end of the day it is not about the money but what you can contribute to the team and that is what I am looking forward to," he said. Karthik, who has played 23 Tests and 67 ODIs for India, pointed out that many domestic players got far more than some of the international players at the auction because of the potential they possessed. "This has been by far the cleverest auction in many ways. If you see a lot of the domestic Indian players have earned far more than lot of international players and I am not talking about international players who have arrived at the scene, but of good quality. "It just goes to show that if you perform in IPL , you will be getting what you deserve irrespective of whether you are an uncapped player or a capped player or domestic player or international player. It is about what you can bring to the table," he said. Karthik, who is not part of the India squad for the ICC World T20 championship, to be held in Bangladesh in March-April despite being the second costliest player at the IPL auction, said the strength of the Mahendra Singh Dhoni-led squad chosen for the tournament is evident from the fact that six players in it, including Dhoni, had been retained by their respective IPL franchises. 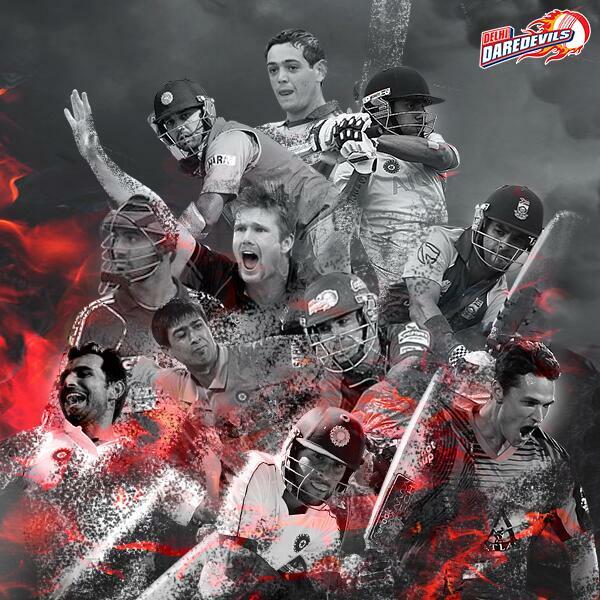 "I think it is very wrong to compare the IPL with the current Indian T20 team. Even if you see the Indian T20 team, out of the top seven that are playing, six of them have been retained. "It just shows that the Indian team has a batting unit that is very strong. There are bound to be players who are going to be missing out and I am one of them. I wish the team good luck and it is all upto the selectors and what they think is the best for Team India at the moment," he said. Asked how difficult it would be for him to make a comeback to the Indian side, Karthik said, "Whenever I get the opportunity I will do my best. And that will be my only aim, to do well in whichever domestic match I play." Karthik will be leading India Cements in the Corporate Trophy and hoped his side would win the tournament this year. "We were last year's runners up. We would like to go one step above that. It is going to be an important tournament. We have got some good teams playing, so it is going to be an interesting few days for us," he said.